Mel joined a physicians service organization in 1970 as a Financial Planner. 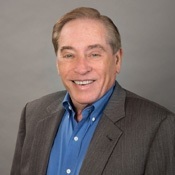 In 1973 he formed PROFESSIONAL PLANNING and has helped hundreds of individuals solve their personal and business financial problems, and plan for a sound financial future. Mel received a Bachelor of Electrical Engineering from the University of Florida in 1964. He pursued graduate studies in Business and finance at the University of Florida, Newark College of Engineering and at the University of Southern California. He completed a two year program from the College of Financial Planning and obtained a Certified Financial Planner (CFP TM) designation. He has a Life and Disability Insurance License, Real Estate Brokers License. He is also an investment advisor representative with Professional Planning, a Registered Investment Advisor registered with the SEC. Mel served as a California State Commissioner for Aviation and Airports, and as Commissioner on the Advisory Commission for Life and Health Insurance. He recently served on the Executive Committee and the Board of Directors of United Cerebral Palsy. Previously, he served on the Board of Directors for the Arthritis Foundation, the Board of Directors for the Boys and Girls Club of San Fernando Valley, the Board of Trustees for Valley Presbyterian Hospital and participated in many other charitable organizations. Mel’s satisfaction is gained through successful service to clients.